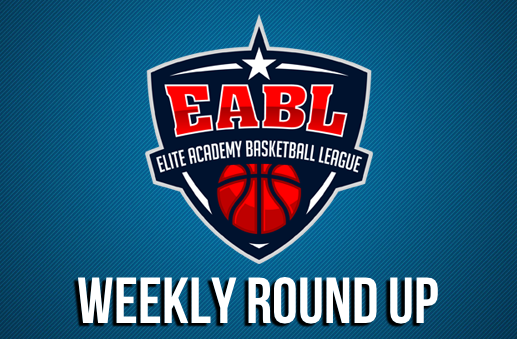 The week 15 action of the EABL saw 8 teams match up in the third week of the January campaign, with Copleston, JMA and Charnwood showing some impressive victories! John Madejski Academy earned a comfortable victory in the EABL on Wednesday afternoon when they defeated Oaklands College by 103 points to 52 behind Sam Grant’s 25 points. Despite the visiting team starting out on the front foot JMA filled up the score sheet and poured in 16 points to lead 56-26 at the half. JMA then opened the second half in similar fashion as they extended their advantage to 40 midway through the third quarter, leading 71-41. The final quarter saw JMA stamp their defensive presence on the game, holding their opponents to just eight points whilst scoring 22 of their own as they rounded off a convincing victory 103-52. Itchen College strengthened their hold on second place in the Southern Conference with a tough 79-75 win on the road in Canterbury. A back and forth game that saw multiple lead changes and swings of momentum throughout was ultimately decided on a late 8-3 run as Rhys Sundimalt scored 8 straight points for Itchen. Itchen took an early 23-17 lead as they pounded the ball inside. The second quarter saw Jonathan Fakile help Canterbury close the gap as he repeatedly broke down the Itchen defence. With both Hughes for Itchen and Josh Moore for Canterbury scoring in multiple ways, the teams entered the final quarter with Canterbury leading 55-53. The fourth quarter was full of drama, with both teams making big plays and the lead changing multiple times. After a timeout, Morrell knocked down a three of his own regaining the lead for Canterbury, 75-74. Sundimalt once again responded for Itchen, getting to the rim and finishing to put Itchen back in front. With Canterbury unable to get a good look on the next possession, Titus Zvdelis then iced the game from the free throw line, giving Itchen the crucial win. Copleston travelled down south to face a BHASVIC side in search of their first league win, which they achieved as the home team came out slow allowing the visitors to route the game 104-47. The game started with BHASVIC scoring the opening basket however, a 10-0 run forced BHASVIC coach James Quinto to use an early timeout but it didn’t stop Copleston’ s run which BHASVIC couldn’t stop as the visitors led 57-12. In the third quarter, BHASVIC stayed resilient and kept running their sets as they started to knock some shots down but Copleston also kept their foot on the gas. The fourth was a much better showing from BHASVIC as they ended the quarter only being down by five 26-21. Seevic College hosted Alec Reed Academy in the second week of 2019, leaving the home side still searching for the first win of the season whilst Alec Reed hold a 7-5 record. The game started with both teams trading baskets, going back and fourth throughout. Tendo Memorisa led Seevic in the first quarter with 8 points and the quarter finishing 19 – 18. Fouls impacted the hosts, resulting in a mixture of different line ups which allowed Alec Reed to find some offensive rhythm and claw back the lead going into the half. Both teams continued to battle throughout the third, with Seevic changing up their defensive coverages which allowed them to pick off some steals and get some easy baskets. The visitors took a timeout to regroup and a quick 8 – 0 run followed. Some second chance points for Alec Reed then helped them to stretch the lead by 7 points. In the final stanza, Seevic saw themselves in foul trouble, picking up early team fouls and Alec Reed exploited this. Another quarter of trading baskets followed but it wasn’t quite enough for the hosts to gather momentum to form a come back. The score line finished 86 – 73 to Alec Reed. 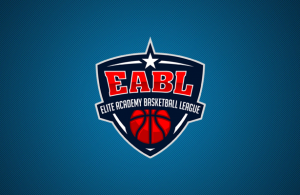 Barking Abbey stayed unbeaten in the EABL with a 79-64 win over City of London Academy on Wednesday afternoon. A strong opening quarter for Barking Abbey set the tone as Tautvydas Meliauskas buried 4 threes leading the home side to a 23 to 18 advantage. The rest of the game remained close as CoLA used some strong defensive pressure and good shooting from Louis Norton to always keep within touching distance. 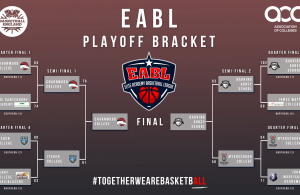 A 49 to 47 lead for Barking Abbey deep into the third quarter was turned into a 10 point game as Ade Adebayo reeled off seven straight to give Abbey an advantage they wouldn’t lose. Charnwood take the 90-72 victory over James Watt College in their final home game of the regular season, remaining undefeated in the campaign. Charnwood opened up the lead early in the game with some early 3 pointers however, James Watt stuck around with some easy scores to remain in the game with just a narrow deficit of 2 points after the first period. A sloppy second quarter from both teams saw a number of unforced turnovers from both teams, which allowed some easy scores in transition on either end, however some inside scoring allowed Charnwood to take a lead, 54 to 37. Charnwood’s defence stepped up in the third quarter only allowing 11 points from the visitors, having an advantage of 26 point after the 3rd period. The visitors didn’t give up and they found some strong scores from leading scorer Daniel Penkov, who finished with 24 of his own. However, with the comfortable lead the home side held them off and came out on top 90-72. 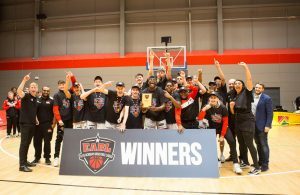 Derby Trailblazers Academy defeat Manchester Magic Academy 96-73 in a northern EABL clash on Wednesday night, avenging the two point defeat suffered in Manchester earlier in the season. Derby won the first quarter 21-17 behind the hot hand of Tyler Mutemasango who drained 3 triples, a pair from mid-range and finished well at the bucket on his way to 17 personal first period points. It continued to be a tight contest in the second as Manchester’s Gargan netted a three to give them the lead at 28-29. It would be the last time they led, as Derby pressed for the remainder of the half, creating a handful of steals and layups to open up a 50-42 half time lead. Derby took control in the second half behind Luke Ptak’s offensive barrage and some fine team defence. Ptak scored 8 points in the third and then 11 in the first three minutes of the fourth to half, and when Jake Brown scored a floater and then a three pointer Derby peeked at 91-62. Manchester rallies in the final minutes to close the gap as the game ended 96-73. Myerscough College picked up another win to continue their strong season , defeating SGS College 44 – 78. The first quarter was tightly contested. Myerscough stretched out to an 8 point lead before a three pointer at the buzzer by Maciej Gniady cut the deficit to 5 to end the quarter. Myerscough would take full control of the game over the next two quarters. 10 points by Amari Williams in the second helped to build a 25 point lead at the half which they would extend further after the break. SGS closed the game with a more confident performance in the 4th but were unable to significantly affect the deceit.